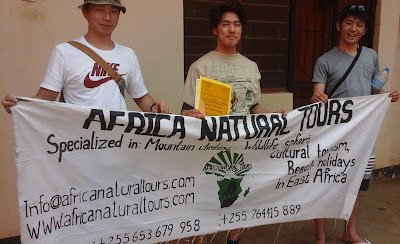 We arrange walking safari in Ngorongoro, Lake Natron and Oldonyo Lengai; all of our safaris include all park fees, an English speaking guide, meals and camping accommodations. Arrive anytime at Kilimanjaro International Airport (JRO), Tanzania. You will meet us at the airport and pick up with private transfer to your arranged Hotel. After breakfast depart to Olmoti Crater for a half day walk. Often we meet Maasai on the way to the water falls at the crater. At afternoon we proceed to our base camp at Empakaai Crater (Special Campsite). Experiencing the serenity and quiet beauty of this wild spot. Surrounding the lake you will reach springs, where you frequently see lots of wildlife. In the lake there are many flamingoes. Overnight at the special Campsite, Empakaai. Today we start walking from Empakaai to Lake Natron. We descend the outer hills of the Great Rift Valley; we walk through the open plains of the Embulbul depression, passing through Naiyobi village. We have also the great opportunity to meet the local Maasai. Ol Doinyo Lengai and Mount Meru are seen along the way. Donkeys carry our luggage. Afterward we proceed to the Acacia Campsite for dinner and overnight stay. Today we walk to Ol Doinyo Lengai, the single active volcano mountain in Tanzania this means (the holy mountain of the Maasai). The trail will lead us down into the Rift Valley escarpment, and most of the parts are quite steep. After 5-6 hours of walking we reach the foot of the inspiring mountain. Here you can decide if you want to camp at the ChiniYaMlima campsite, or want to proceed to the Engaresero campsite, which is much more comfortable (showers!) and less hot. We can also pick you up by our car at the mountain, and drive back to the Engaresero Campsite. Today you’ll experience the culture and traditions of the local Maasai at Lake Natron. Your local guide will show you the Maasai Boma and explain the way Maasai live; after a short visit in the Maasai Boma we will drive back to Moshi at your arranged Hotel.